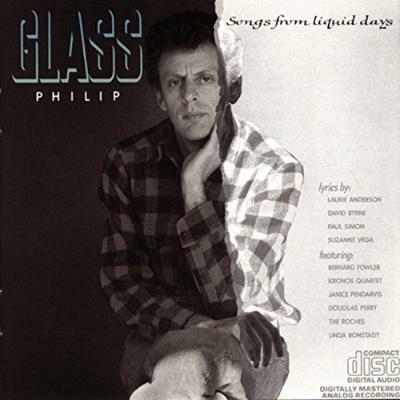 It's funny because I wouldn't consider this my favourite music at all by Philip Glass, but that was the first Philip Glass record I ever heard. I was a teenager and I was taking an extra-curricular art class in a nearby town. I had this amazing painting teacher who would put on music during our classes. I think most of the kids there weren't really that interested or didn't care too much. But I would always go up to him afterwards and be like, 'What was that music you were playing? ', and he was really happy that someone took an interest. He started burning CDs for me – I'll leave his name out so he doesn't get thrown into jail for that [laughs]. He burned a CD for me of Songs From Liquid Days. Those teachers are few and far between a lot of the time, but they can really be impactful I think. I'm from the States so I started driving when I was 16, and I had a CD player in my car. That was one of my favourite places to listen to music. I just remember driving around listening to that first song, which is another kind of epic song – I think it's around ten minutes long or something. I don't know, the feeling that it gave me was just utterly magical. Hearing that music, I think, was the beginning for me of starting to appreciate classical-type music, music made with those instruments. Before that, I had only heard like, Mozart and Beethoven and the classics, you know? I found that hard to appreciate when I was a kid. I have recordings from where I was 15 and I'm just copying Philip Glass as best as I can [laughs]. I listen to it now and it doesn't sound anything like Philip Glass, but I remember when I was a teenager I thought I was writing music like Philip Glass!